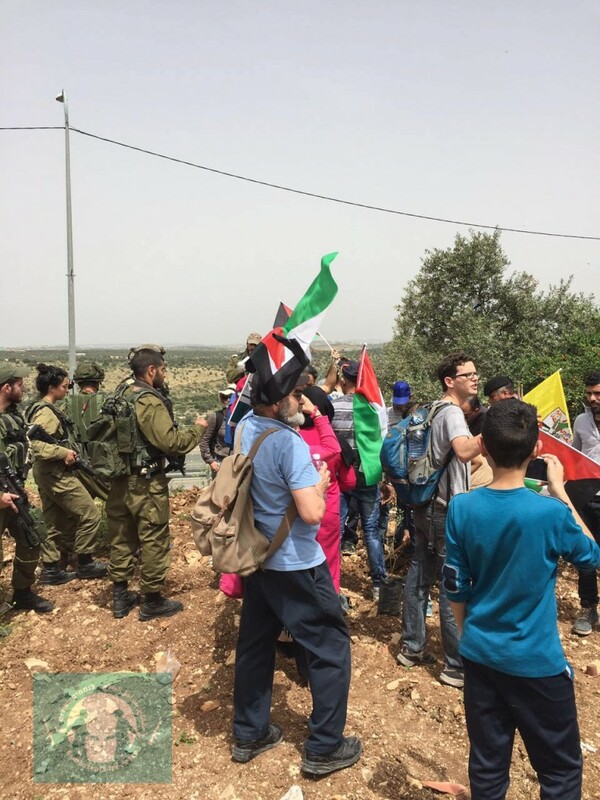 Israeli soldiers on Friday blocked a joint Israeli-Palestinian peaceful demonstration against the seizing of private Palestinian lands. 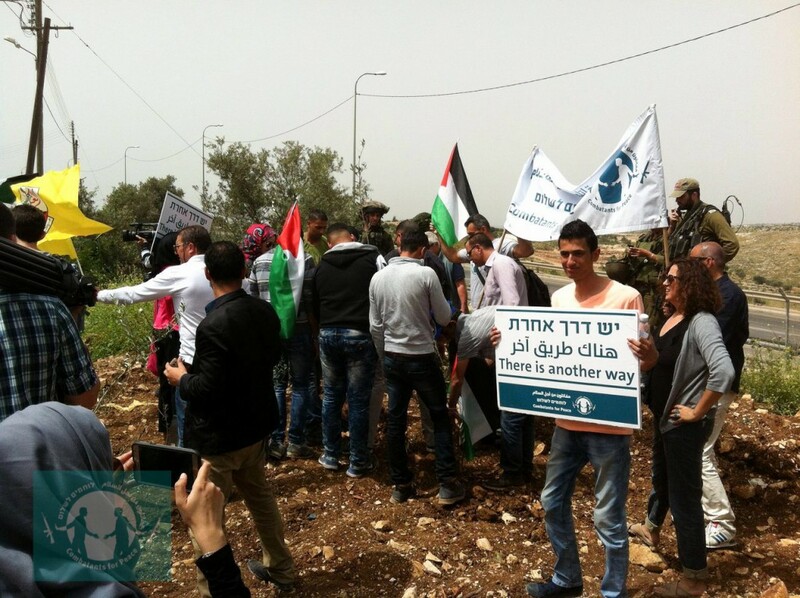 The demonstration, led by activists from the ‘Combatants for Peace’ movement, is part of the local residents’ struggle against the plan to build the Nabi-Elias bypass road for Israeli settlers on private Palestinian lands. 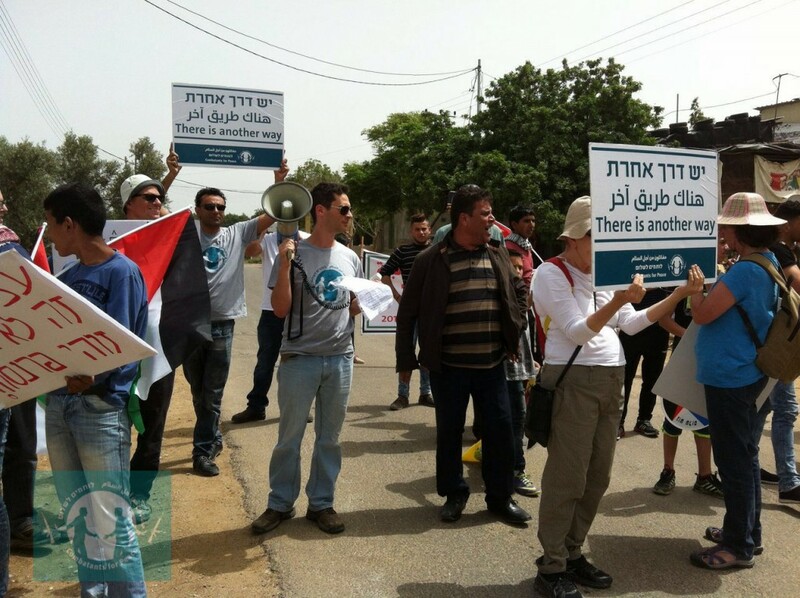 Troops also detained four Israeli activists, and one Palestinian activist. 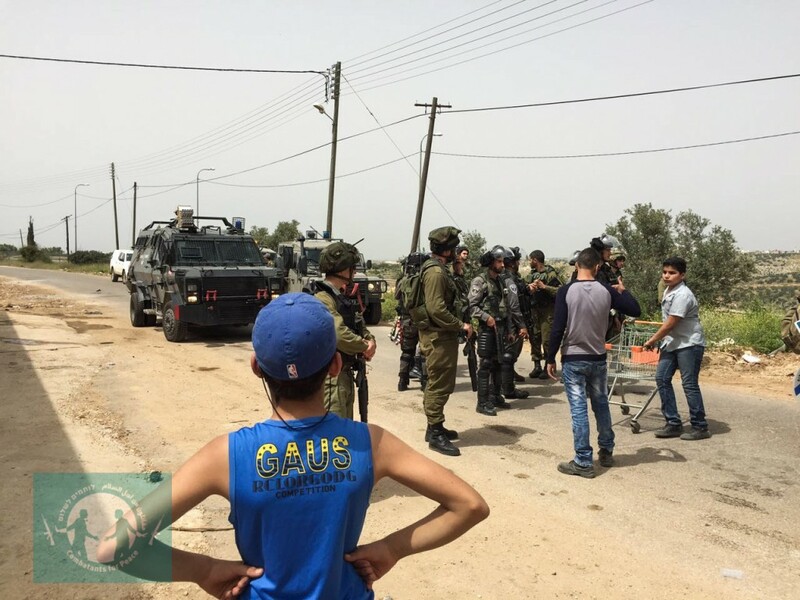 Two Palestinian protesters were wounded by rubber bullets and two others suffered from tear gas inhalation. Maya Katz, Combatants for Peace activist who took part in the demonstration: “The right to protest is denied even for non-violent peace activists, who came to demonstrate against the construction of a road that will benefit only the settlers, and is being constructed on stolen Palestinian land, and to plant an olive tree as a symbol of peace. Without any provocation, the army used extreme means to stop the protest and arrested activists in suppression of the freedom of speech “. In order to build the Nabi Elias bypass road, which will serve mostly settlers’ needs of separation from the Palestinian population and has no benefit for Palestinians, 104 Dunams of private Palestinian lands were expropriated in December 2015. 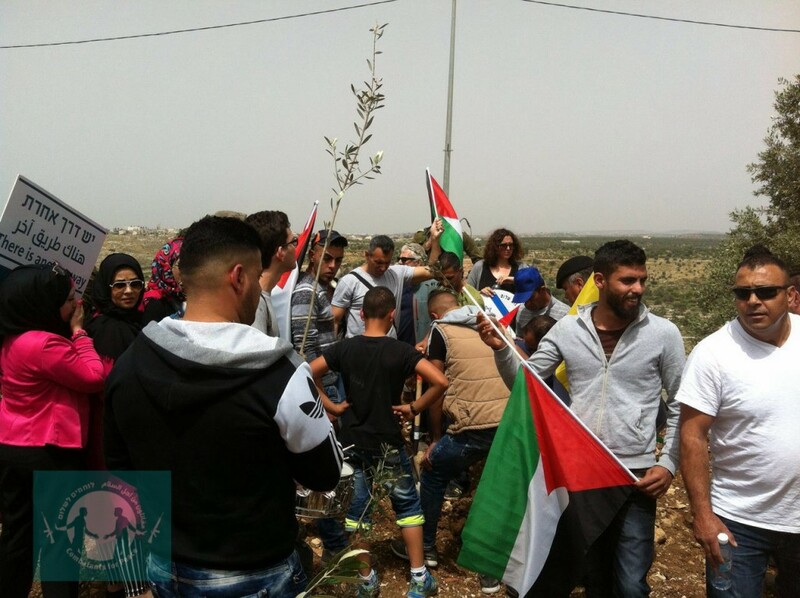 If this plan continues, 700 olive trees would be uprooted and the agricultural landscape would be damaged, as would the livelihood of Palestinian farmers and small business owners. Demolition of Palestinian shops located in the future road’s path began this week. Combatants for Peace was formed by Israelis and Palestinians who took part in the cycle of violence in the region, and are now working together in non-violent ways for peace and coexistence. In recent years, the movement has conducted hundreds of events, including house meetings with ex-combatants, tours, demonstrations and lectures, both in Israel and Palestine. 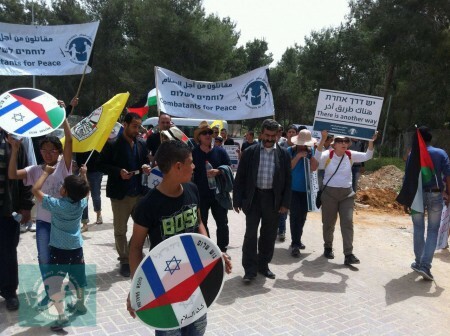 The movement calls for ending the occupation, rejects any kind of violence on both sides, and calls for the recognition of the existence of a dialogue partner on the other side.